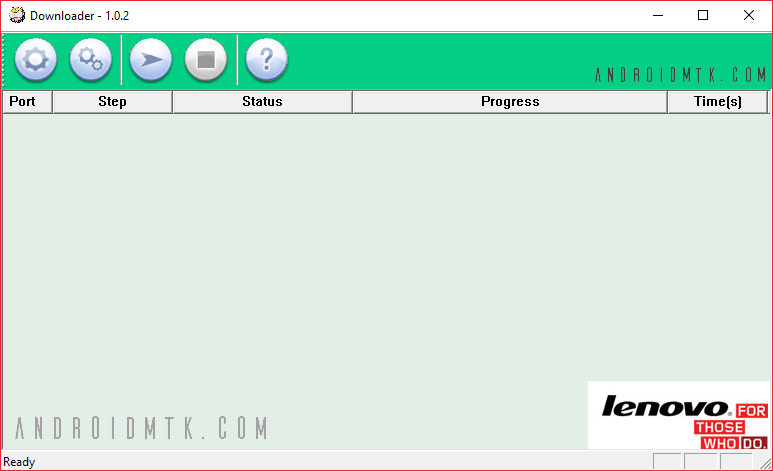 The Lenovo Downloader is a small application that allows owners of Lenovo smartphones to flash stock firmware files to their devices on a computer. The Lenovo Downloader tool can also be used for models that have Qualcomm system chips (chipsets). But cannot be used if you have one of the other common varieties found in today’s market, such as MediaTek. If you do have a device with a MediaTek system chip, then see something else such as the SP Flash Tool or the Qcom Phone Download Tool. Not all smartphones from the Lenovo smartphone manufacturers have a Qualcomm system chip. If that’s the case for your device, then you cannot use this tool. It only works for Qualcomm chipsets. Stock ROMs: The Lenovo Downloader is capable of flashing stock firmware files to Lenovo devices that have a Qualcomm system chip. Easy To Use: The Lenovo Downloader has a simple to use interface that rivals the most commonly used flashing tools out there. Just follow the instructions for loading your stock firmware packages and click the required button to start the flashing. The tool does all the hard work for you. Download Settings: The Lenovo Downloader comes with multiple download settings so you can choose between eMMC programming, chipset number, and raw programming. Supports Other Manufacturers: You can also use the Lenovo Downloader tool on smartphones from other manufacturers, provided that it has a Qualcomm system chip. Just to reiterate one more time, the important thing here is that your device has a Qualcomm system chip. Not all Lenovo devices have one. Use a search engine such as Google to find out what system chip your model has if you don’t know. You should always use the latest version of the flashing tool as possible—as shown by the highest version number in the links—because that way you’ll have a better chance of using the one that’s best compatible with your Android software version, device, and it might even come with a few bug fixes along the way, too. Qualcomm Compatible: The Lenovo Downloader should work for most devices that have a Qualcomm system chip, but it won’t work on devices—including ones from Lenovo—that don’t have Qualcomm chipsets. The most common alternative being MediaTek where you would then need to use other tools such as the SP Flash Tool. Alternative Tools: You can try using the Qcom Phone Download Tool, or the Qualcomm Flash Image Loader (QFIL) is the Lenovo Downloader isn’t working for you. Backup Data: You should find that your pictures, music, videos, documents, etc., make the trip after you flash new firmware files, but other personal data such as contacts and applications that you’ve installed from the Google Play Store will not. Make sure you backup the contacts and apps before flashing new firmware. The Lenovo Downloader Tool is developed and provided by Wingtech Shanghai.